Rental news from the website lettingagenttoday.co.uk. Shocking rise in rent from Britain’s biggest landlord, a staggering 33% increase. Scottish cities with high student population offer the best buy to let yields in the UK, according to website propertywire.com. telegraph.co.uk have wrote a profile piece on the old hangout of the iconic band, The Beatles. The piece of history is now available to rent in London. More from the website propertywire.com. The UK is set to get a new buy to let index, good news for analysts looking at the UK property market. House price report from theguardian.com. A further increase of 2% in July, while the average increase was more than £1,000 a week in some places. A great insight into animal lovers and their homes from houzz.co.uk. How does yours match up? Property portal website rightmove.co.uk visited Tenby this week in their Inspiration Wednesday series. Good news for home owners in Scotland from the website propertywire.com. Home sales have reached a seven year high for the country. Another article from the telegraph.co.uk – house building is up, meaning Galliford Try profits are also on the up. theguardian.com and Shelter have published a report claiming that 113,000 are set to be sold off to help finance the Government’s right-to-buy scheme. How Does UK Inheritance Tax Compare With That In Other Countries? theguardian.com again today, and this time they have released a great infographic highlighting the UK inheritance tax law and other countries. Housing associations could add a whopping £60 BILLION to the national debt pile, according to the news outlet telegraph.co.uk. The website propertywire.com reports that first time buyers in the UK need bigger deposits despite the Government’s Help to Buy scheme. 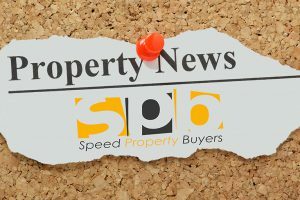 More news from propertywire.com. Under development on the greenbelt in the UK shows fewer homes being built on the English countryside. curbed.com have show cased an amazing bath mat made out of actual living moss. How cool is that?